Looking around, there are only a couple of metal midrangers left and just one phone with flagship specs like Snapdragon 845 that comes with unassuming but durable plastic body - Xiaomi's Pocophone F1. This is why we wanted to ask if, a couple of years after their demise, you would buy a plastic flagship phone again. Uuuu, rubber case, you rich Fancy guy!. Certainly would. I was perfectly happy with the build quality of my previous phones like the SE Xperia X10, Galaxy S2, Galaxy S3 and Galaxy S4. The best combination to me was the Metal & Plastic combo of the Galaxy Note 4 (Plastic battery cover, metal frame and then the glass front), happily used it without a case for a long time. Samsung used a horrible plastic in S3 and S4, both developing small cracks almost everywhere around the camera, the ports, at the top, sideways in the middle. If it resulted in CHEAPER phones, yes I would. But, even if they went back to plastic or a non metal/glass back, you can bet they would explain away why the price didn't drop. As for the glass, if you are crazy enough to walk around with the PIH syndrome (phone in hand 24/7) naked, then, you deserve to crack/shatter it when dropped. As expensive as these things are, you are nuts not to put them in some sort of protective case. So does glass and metal and especially electronic components. Back when sammy was making plastic flagships my friends with iphones always were mocking me on how cheap it feels and how premium their iphone is; being hypocrite is a tendency in the apple eco-system; they were buying "premium" phones and immediately strapping a cheap 2$ case on them to not break it. If it came with swappable batteries again... absolutely. 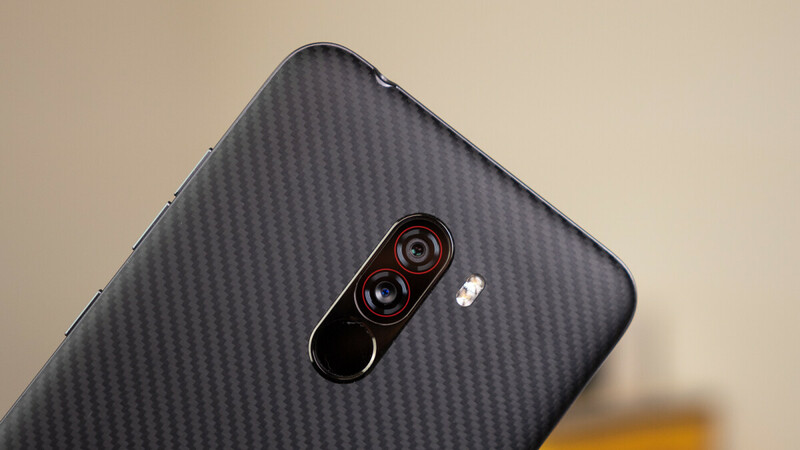 What newly released flagship isn’t using premium materials these days? It’s sort of the industry standard now so I’m not sure why this poll exists. It’s completely hypothetical, and just for kicks. Don’t take it so seriously. Any phone with a glass body. Glass is not a premium material, no matter what line of BS sites like this push at us. Hell yes I really don't like all glass backs. Absolutely. Some of my favourite designs/feels were the polycarbonate devices in the Lumia line. I'd prefer it. Glass bodies are the second dumbest thing to happen to modern phones, behind the over-focus on thinness. I like a strong metal frame but the back could be plastic if it looked and felt premium. I like the Kevlar and carbon fiber backs, and if they could design in the corner and screen guards that would be nice and avoid need a case. See profile image. I like theft proof designs that have sealed batteries and eSIM that prevent it from being turned off or disconnected from the network. PC, more durable than glass, allows wireless charging, fingerprint free, all positives, so why not. In the end, it'll be in a case. Rather it be taken out of the case in one piece than some small spiderweb crack from a hard drop prior. Dropped my LG G3 a few times from chest height with a screen protector and a those cheap aluminum bumpers that were popular on eBay. The back survived in one piece with minor scratches that rubbed off. As long as it has a great sturdy frame and IP68, it's solid. I prefer metal over glass because I don't use wireless charging. People complained about the feel of the plastic that was being used. Instead of fixing that, manufacturers abandoned plastic entirely so they had an excuse to use materials that justified sealing the body. In a heartbeat ! I really hate glass ! What a phone is made is secondary to me. I put all mine in a case anyways. This is it. That lovely all glass phone, slippery and fragile. You have to cover it in plastic anyway.